Need to finish your home improvements? Remodeling and renovation projects are two great ways to improve the living quality in your home. They also help improve price, comfort, and value of your home! Who doesn’t like the sound of that? What you might not like the sound of is the organization or financial burden of actually getting a head start on these projects. It can be disconcerting to think about much much money you’re going to put into a project, for sure. But, where there’s a will there’s a way! So, let’s discuss some ways to tackle renovation and remodeling projects on a budget, and get those projects finished! 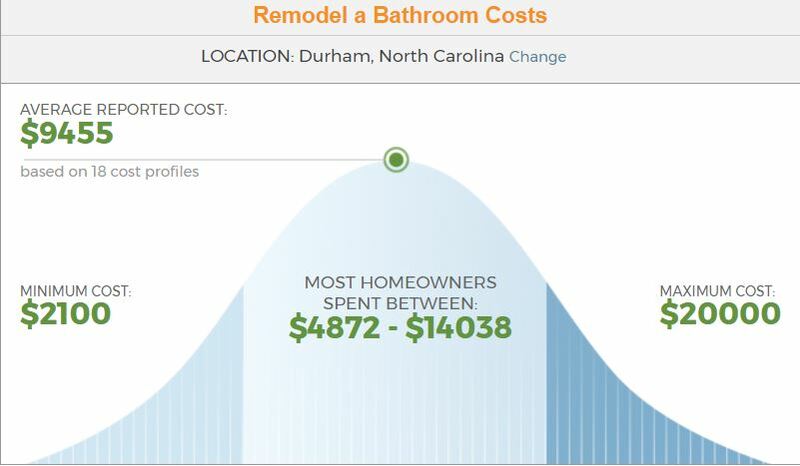 HomeAdvisor offers a tool that can estimate local remodeling costs. Here’s an overview of bathroom remodeling in the 27514 area code of North Carolina. Step one: create both your financial plan and design plan. 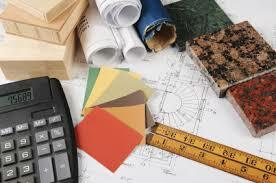 Even if you’re not hiring a designer, you’ll still need a plan to accomplish your remodeling projects. However when it comes to getting a return on your investments, fewer renovations are better (in many cases, not just bathrooms! ).Consider remodeling the fixtures, flooring, plumbing, and electrical. While plumbing and electrical may be more expensive than simply remodeling the fixtures or flooring, they may provide resale value later on. Hiring a contractor to help with the remodeling is beneficial because you can get materials through them, at lesser costs. Upgrading fixtures in your bathroom like a sink, faucet, toilet, or tub helps modernize bathrooms. You can update them to match the style of the house, or create a private oasis tucked into your home. 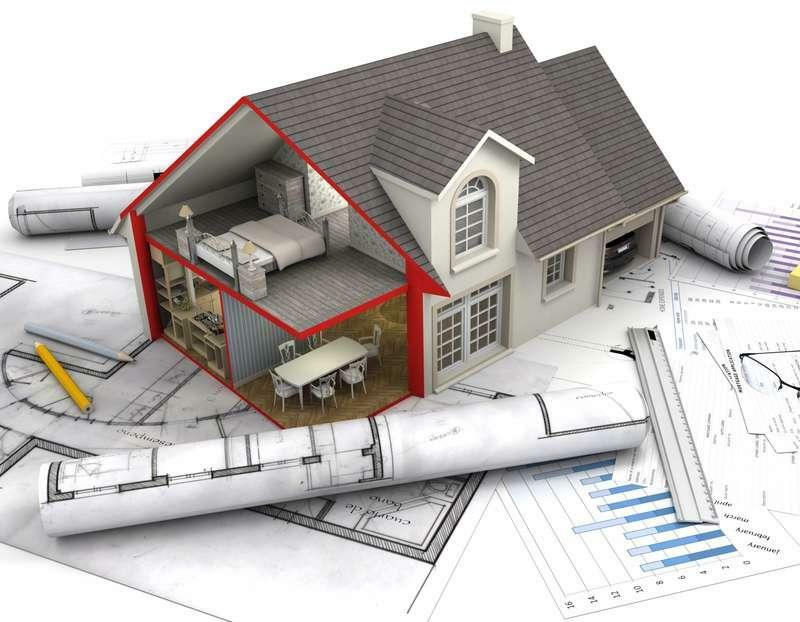 One concept to consider as you’re remodeling is “going green”. Are there facets of your bathroom you can exchange for “green” ones? For example, you could install a new toilet that uses less water when flushed in order to conserve water. Flooring, however, will be largely subject to your budget. One thing to keep in mind while looking at flooring is the square footage of your bathroom. Knowing the square footage of your bathroom can help you pick and choose which fixtures to splurge on and what materials to choose for your flooring. This is important, too, if you’re expanding the bathroom. Updated kitchens are incredible. They’re personalized, they’re efficient, and overall they pull a house theme together. Besides, remodeling your kitchen adds value to your home, if you’re preparing to sell. 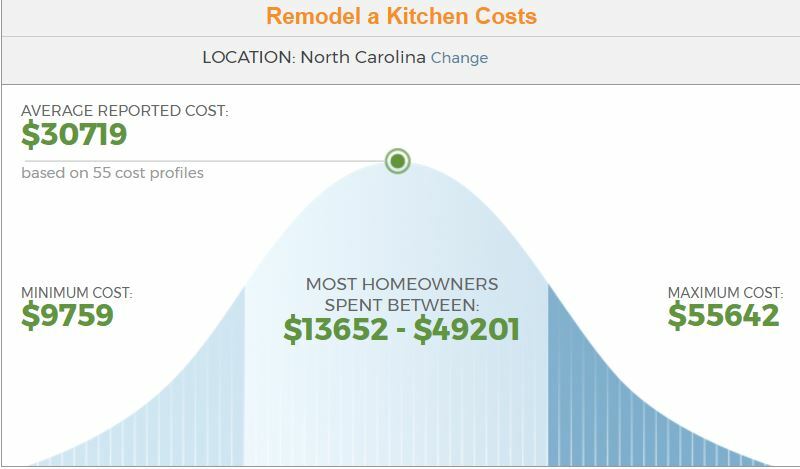 Let’s look at remodeling costs for kitchens in North Carolina’s 27514 area code. Of course, the cost of your kitchen remodeling depends on what your project details are. In your remodeling plan, be sure to include what you’re going to update or remodel, like the cabinets, counter-tops, fixtures, and appliances. Armed with your budget, you’ll be able to pick the best materials for your project. If finding new cabinets you adore and can afford within your budget is difficult, you can work with what you’ve got. Refinishing your cabinets and repainting them is a great way to update your kitchen without shelling out a lot of money. Appliances, on the other hand, are more expensive. One way to diminish the cost of new kitchen appliances is to opt for freestanding appliances instead of built-in. However, built-in appliances can help maximize smaller spaces to improve functionality, so they may provide good resale value with the home. Counter-top material options are seemingly endless, but don’t worry. We make sense of what’s in for the kitchen by going over all the latest options like concrete, soapstone, and granite. Unsure of what updates to make before selling your home? Or, alternatively, do you need a hand finding the best contractors for the jobs? Real Estate Experts are here to help. Visit us online. Call us today at 919-813-6449 or e-mail us at [email protected] for additional information. Did you know you can modify the Zillow Zestimate for your home? Zillow’s Zestimates are a property estimation tool. They’re built into almost every listing on Zillow, benefiting both buyers and sellers. Though realtors and real estate professionals question the accuracy of the Zestimate, the estimation is a starting point for determining a home’s worth according to Zillow’s chief economist Stan Humphries. See our related post on the accruacy of Zillow Zestimates. Zestimates tell you something. 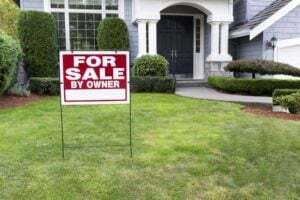 They’re the basis for determining a home’s worth, but they’re not as accurate as looking at true comparable sales because they don’t make adjustments for differences between properties. Zestimates don’t tell you about local amenities, construction prices, or actual costs of items in new construction. Accuracy of the Zestimate depends on location and availability of data in an area. Unfortunately, there are other issues with the Zestimate besides accuracy. 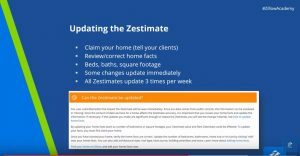 Updating a home’s Zestimate takes weeks to appear on a listing’s page. Starting in February 2015, Zillow recognized this. Now, updated Zillow Zestimates are available immediately! Since Zillow relies on both public records and user submitted data, your Zestimate may change with updates. Zillow’s data comes from public records, meaning your information could be outdated or missing. We’ve talked about how certain areas provide more information than others; the amount of data Zillow has for a home affects the Zestimate accuracy. What that means is that it’s important to review your home facts, such as number of bedrooms or bathrooms. Once you’ve reviewed your home facts, you can update your Zillow information which will change your Zestimate. Have you updated or renovated your house recently? Have you finished your attic, screened in your porch, built a deck, or added a bedroom? If you’ve done any updates like these, you’ve probably increased your home’s worth. Nearly impossible for Zillow to keep up with updates like these, it’s important that you, the user, update your own home’s information. Since so many people check Zillow before they visit houses in person, it’s important to provide every detail that can increase your home’s worth. In the center of the page, you’ll see several tabs. Zestimate is all the way on the right. Type in your home address. Your home will pop up, allowing you to click a button which says, “Correct facts”. Verify you are the owner of the home by “claiming your house“. Simply select your name from the list of owners. As the owner, you can now update the information on your house. Add number of bedrooms, bathrooms, home size, lot size, architectural style, roof type, heat source, or building amenities. At the bottom of the page, it’ll allow you to save your information. This will update the zestimate on your home. Since Zestimates are updated immediately , you’ll see a change on your home’s estimated value on Zillow.com. If you’re looking for the true market value of your home, there are a number of ways we, at Real Estate Experts, can help. After all, a Zestimate is only an estimate! 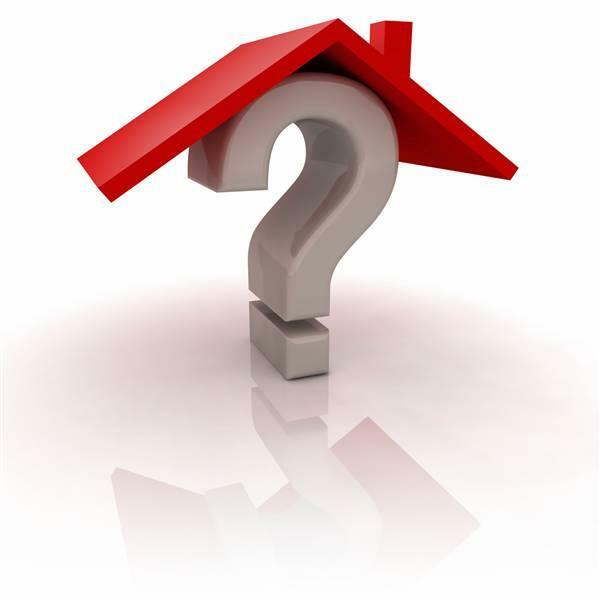 We offer a home valuation tool that can estimate your home’s value. Check it out, and let us know how we did. At Real Estate Experts, we’re committed to providing our clients the best experience buying or selling homes. We want the process to be smooth for everyone involved. If you’re interested in buying or selling a home in the Triangle area, give us a call anytime at 919-813-6449 or send us an email to [email protected]. Triangle home sales and prices are rising. Homes in the $200,000 to $400,000 bracket are selling fast. This past January, the average price of homes sold was $279,800. A 5% increase over last January, triangle home prices are on the rise. Not only are prices increasing, but so are the number of homes selling. The issue we are facing now is a true lack of inventory. 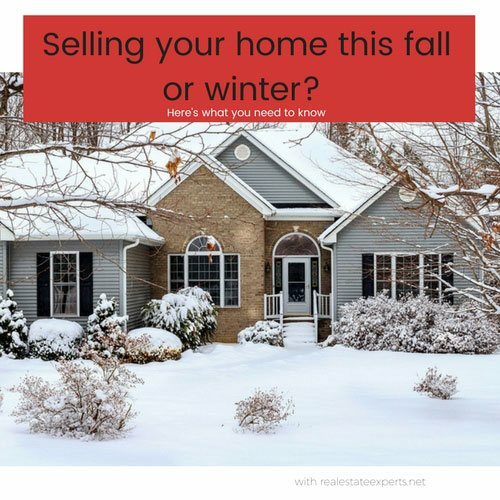 If you are thinking about selling, this is a great time to sell your home. More homes are making it onto the market daily, but they won’t stay for long. The greatest demand for homes is within the $200,000 to $350,000 price range. In January, homes priced in that range spent an average of 49 days on the market. Last year, homes priced in that range spent an average of 59 days on the market, whereas four years ago they spent 115 days on the market. Availability of homes in this coveted price range is dropping, creating a considerable shortage of inventory. Over the last year, the Triangle inventory dropped 9.4%. This inventory dropped an astonishing 36.4% in the last four years. New construction contributes homes to the market, however they are often priced higher than buyers might like. This is a consequence of rising land prices in the Triangle, but it makes new construction less attractive. The lack of acceptable options has encouraged home owners to stay put, influencing the lack of inventory of homes in the $200,000 to $300,000 price range. In this seller’s market, homes are often sold above the original list price. In January, 13% of homes sold for more than they were originally listed for. Even buyers are confused as to why they make an offer at or above list price, and they don’t win the bidding war. “Blind bidding,” says John Wood, owner of Re/Max United in Cary, North Carolina. “They don’t know why they’re not being successful,” he reports to the News and Observer. It’s all about inventory. In January, 61% of homes either reached a contract pending, or closed sale. Inventory has fallen for 29 consecutive months, according to MLS data. At the end of January, there were 4,654 Triangle homes on the market overall. This is great news if you’re looking to sell your home, especially if it is appraised within the coveted price range. Consequently, it isn’t great news if you’re looking to relocate to a home in this price range. “The continued lack of inventory within the sweet spot of demand will produce the following: increasing prices, lower than average days on the market, multiple offers and many final offers accepted above list price,” concludes the MLS report on January, 2017. There’s no denying that granite is a phenomenal countertop material. It’s pretty, durable, and affordable at a $75 average per square foot. Granite’s 30-year run on top as the preferred type of countertop isn’t necessarily coming to an end, but there are a variety of different materials being used for countertops now too. Home owners and buyers are looking towards more modern designs that use these different materials to create an updated kitchen. According to the National Kitchen and Bath Association, quartz is the leading competitor. The durability of this material is impeccable. Resistant to scratches, chips, and stains, quartz overtakes granite in durability. Quartz can also defend itself from heat, which means it’s OK to put that pan on the countertop after pulling it off the stove. Granite and marble are porous materials. While granite and marble need yearly sealing treatments to keep the countertops in good condition, quartz needs nothing of the sort. Engineered quartz comes in uniform designs because as it is engineered, there’s no one-of-a-kind slabs to choose from. But don’t worry, because quartz comes in many different colors and designs. It’s also very affordable. Granite costs $75 on average per square foot, while marble costs $85 on average per square foot. Quartz is right in between at $80 on average per square foot. This material is very functional and efficient in the kitchen. Heat resistant, rust resistant, and stain resistant, stainless steel as a countertop material can be very efficient. Another unique feature of stainless steel is that it won’t let bacteria harbor on its surface. The material is easy to clean, however it has it’s drawbacks. Stainless steel will scratch easy. Choosing a brushed stainless finish will help in the battle against visible scratches, but it’s a good idea to use a cutting board during food prep. This attractive material is non-porous, resistant to stains, and it comes in a variety of colors. What more could you want out of a countertop material? The natural quarried stone doesn’t need sealing treatments like granite or marble which makes it low-maintenance, too. Unfortunately, soapstone is soft so it’s likely to scratch easily. It also comes in smaller slabs than granite, marble, or quartz. This means that the seams of the slabs may be visible in the countertops. Natural wood is becoming a commonality in homes. It’s beautiful, unique, and adds warmth to any home. Used for butcher blocks and custom made furniture, wood creates a beautiful and tasteful environment. Wood countertops are stunning, but their downside is that they damage easily. Heat and moisture will injure your wooden countertops which must be sealed monthly. The upside? Wood countertops can be refinished if damage occurs to them. Concrete countertops aren’t new to the market, but their updates are. While they used to chip and crack easily, concrete countertops now prove to be less prone to damage. Heat resistant and naturally very strong, there are advantages to this material. Slabs of concrete can also be sealed to prevent staining. They’re also available in a variety of colors to suit your kitchen design. 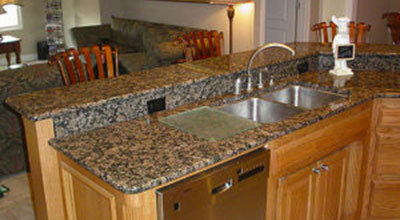 Choosing a material to remodel your kitchen countertops with can help your kitchen look more upscale. While choosing the material is important, it’s also important to figure out if you’re remodeling for yourself. Or, on the other hand, are you remodeling for a potential buyer? If you’re remodeling for the latter situation, try one of these different countertop materials to modernize your kitchen. Unsure of what updates to make before selling your home? Real Estate Experts are here to help. Visit us online. Call us today at 919-813-6449 or e-mail us at [email protected] for additional information.